A Quality Used Transmission AND a 100% Guarantee! What happens if your transmission fails in your daily driver? What is the best replacement transmission option that will give you both dependability and a fair price? 2) Save big and get a quality, used transmission from Premier Auto and Truck Parts! Every single used truck transmission, used car transmission, and used SUV transmission in our North of Grand Rapids, MI warehouse that we sell comes with a standard 6 Month replacement warranty! For a very low additional cost we offer a 6 Month, 1 YR, and 3 YR parts AND labor warranty as well. If you purchase a used transmission from Premier Auto and Truck Parts you will have the peace of mind knowing that if you do encounter a problem, we will back you up! We buy 100’s of salvage vehicles year round, making sure there’s a steady supply of high quality transmissions in our state-of-the-art salvage yard. 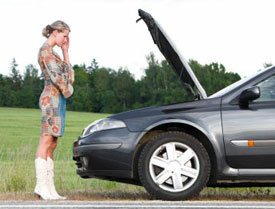 Doing a full transmission replacement on a vehicle is time consuming and costly. Transmission repairs and replacements are usually the most expensive jobs an auto repair shop will do. A new transmission for a car plus labor will quickly add up to thousands in repair costs. Save money where you can by getting a quality, used transmission for both domestic and import models, including Toyota, Ford, Chrysler, Chevrolet and more, from our salvage yard in Cedar Springs, MI. High quality, lightly used truck transmissions are also waiting for you just North Grand Rapids, MI. Imagine you have a child who is away at college and their used transmission fails! Wouldn’t you like to have the peace of mind knowing that whatever used automotive transmission you have installed, can be backed by a Parts AND Labor Warranty for up to 3 Years? Well, at Premier Auto and Truck Parts our used Toyota transmissions, used Chevy transmissions, used Ford transmissions and every other make and model we carry can be purchased with the peace of mind knowing your child will be taken care of. Just 20 Minutes North of Grand Rapids, MI, used transmissions can be found right here in Cedar Springs, saving you a bundle at Premier Auto and Truck Parts. Call us today at 1-800-397-6812!